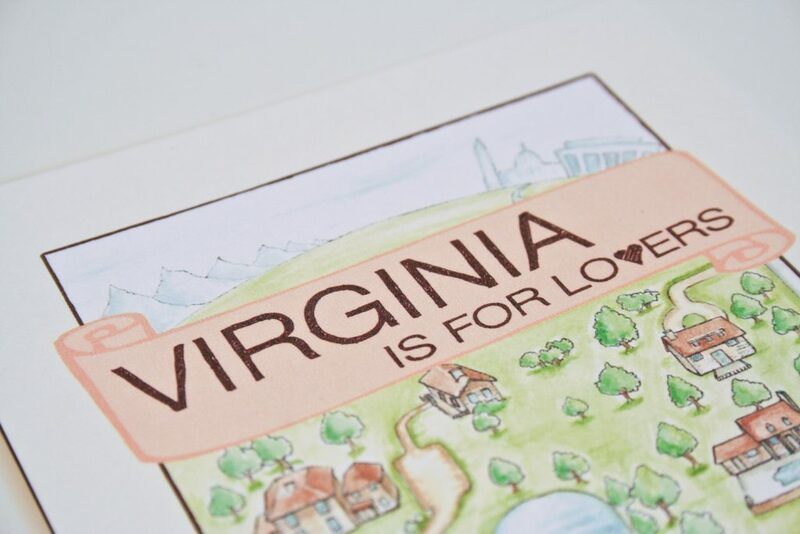 This afternoon I am bringing you the Washington, DC Save the Date inspiration with a special design from a local DC artist, Carlos Hernandez, that teamed up with DC wedding stationery designer, Hitchcock Creative. 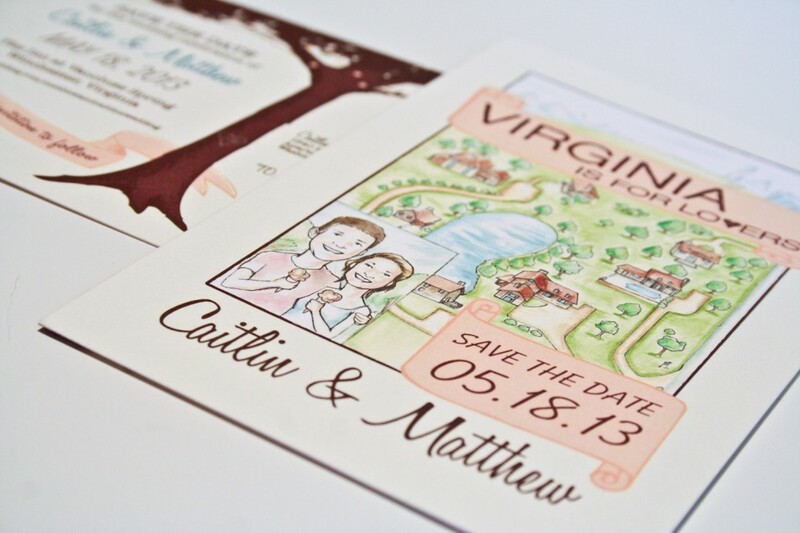 Local DC artist, Carlos Hernandez, collaborated with us to make a fun and natural save-the-date highlighting their amazing venue, The Inn at Vaucluse Spring. Carlos hand drew the map and caricature on the front side of the postcard. 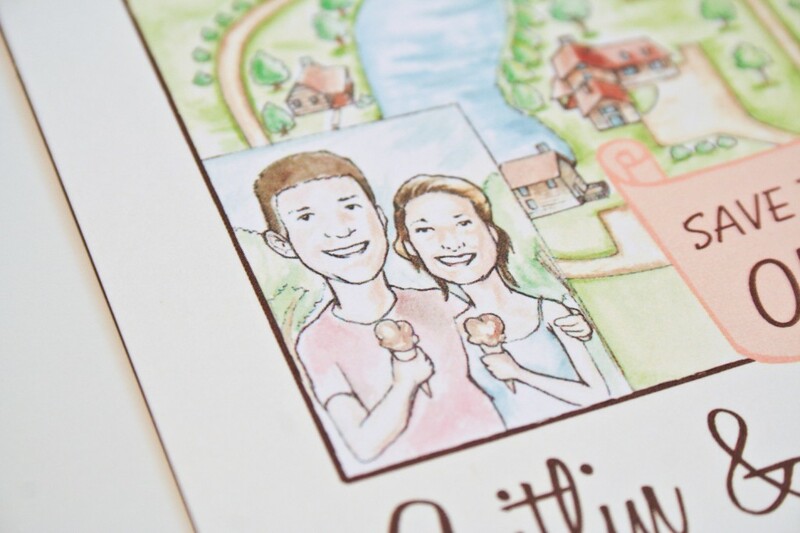 The caricature includes the happy couple holding ice cream, which is an inside joke about how they first met in an ice cream shop. It’s such a sweet touch! 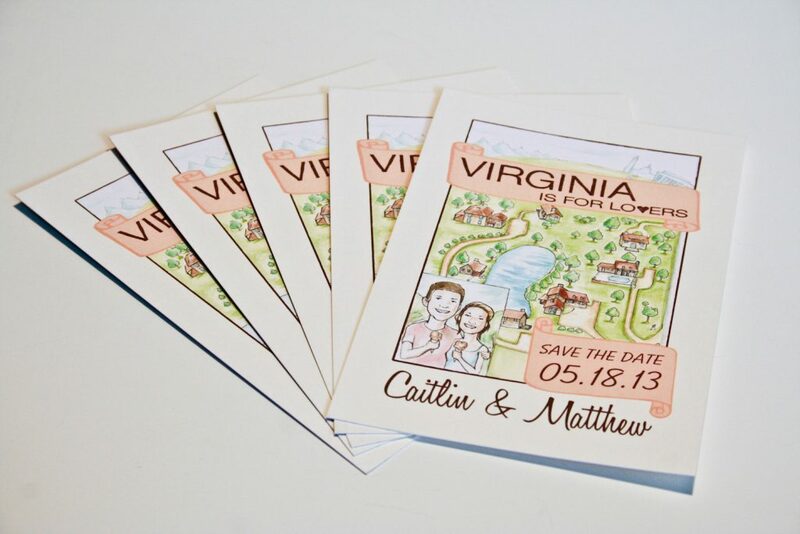 Caitlin and Matthew wanted to highlight their venue on their save-the-date’s to give family and friends a feel for what their country weekend wedding is all about. Caitlin loves the “Virginia is for Lovers” motto, so we incorporated that into the theme as well. And since Caitlin and Matthew live in the city, you can see a little bit of DC peaking out of the top right corner. I love all the details in this design! The ice cream, the peak of DC, the hand-drawn feel of it! Just such a cool DC area Save the Date! Caitlin and Matthew have been a really fun couple to work with! Their wedding is going to be an intimate gathering with all of their closest family and friends. 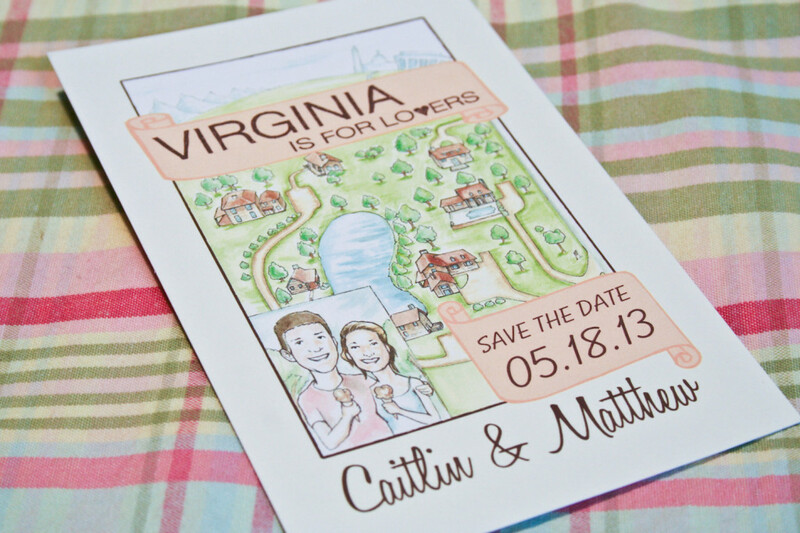 Caitlin has such amazing taste – she is planning this perfect blend of elegance and country for their celebration. It’s going to be stunning! Sounds like my kind of wedding – can’t wait to see how it comes together! Thanks again for sharing this awesome, custom Save the Date design Sarah! Nice! Using a local artist is a great, personal touch! Thanks for posting these! We had such a fun time working on them. 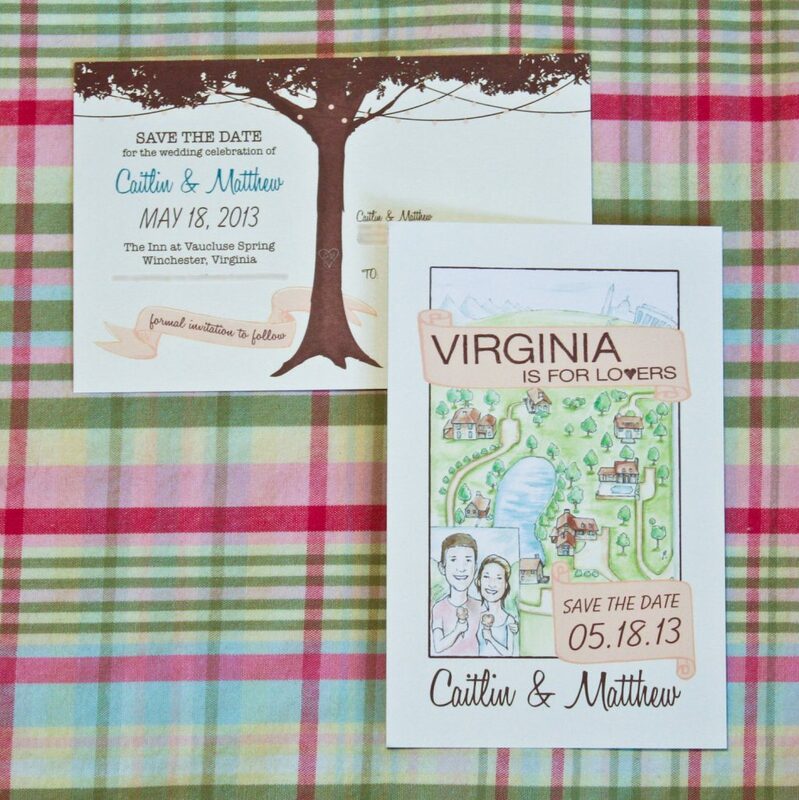 This bride (an event planner) is going to have a gorgeous country chic wedding! We are Caitlin and Matthew’s Wedding Photographer’s for their Big Day and we just wanted to come in and say……These are PERFECT!! So adorable! We will be doing their Engagement Pictures soon in which we also hope to bring in a bit of the focused theme within their Pictures as well.